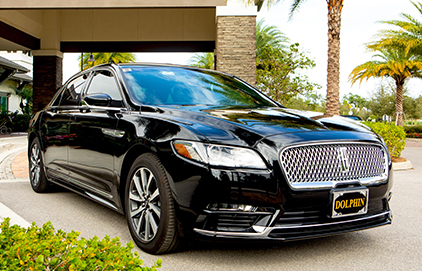 Dolphin is the premier company for all of your ground transportation needs. 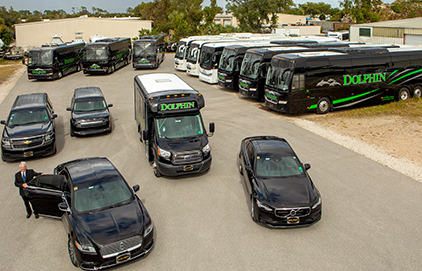 Our commitment to quality, and our coordination abilities have earned us the reputation of being the most trusted transportation company in Southwest Florida. "Just a quick note to express my gratitude and appreciation for the flawless job your team performed last week. Because you and your team adapted to my schedule, my rhythm, if you will, I never took my eye off the ball. Our communications were clear, concise and economical. On my side, I had a whirlwind of data, flawed and incomplete. You and your staff allowed me to focus my attention on my client, not my vendor. There is no price high enough that I can attach to that last sentence. Jennifer, Barry, Morgan and Paul were incredibly easy to work with, available and in command of their domain. That is all a person can ask for and I got it. 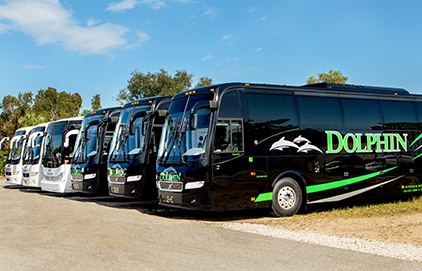 I don’t want to forget about the face of Dolphin, your drivers: always on time, always hospitable and ready to take direction. Thank you. Cheers to all."